Awlaki, Khan and their fellow Al Qaeda travelers fight a different kind of war than we in the West are comfortable waging. They fight a war where they make no distinction between soldiers and civilians and do not recognize the borders of sovereign nations. 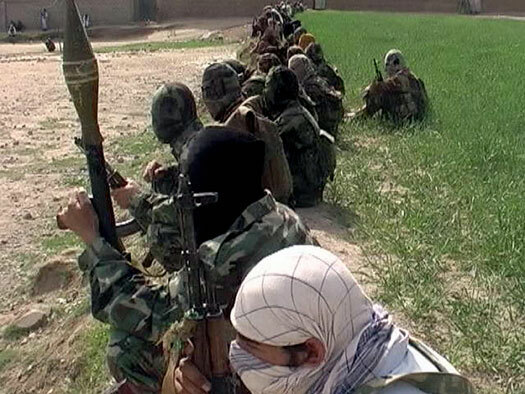 Al Qaeda has defined the battlefield and it is not confined to Iraq or Afghanistan. Using secure bases of operations in nations that are officially our “allies,” they have been able to place themselves safely out of harm’s way until the past year while planning, training and propagandizing new recruits into their terrorist cause. The United States killed two men who though technically a “citizens” were declared enemies of theUnited States. By his own words and actions Awlaki declared war against the land of his birth and the land that blessed him with an education that he used for years to encourage other Muslims, especially American Muslims to kill Americans wherever they are found. 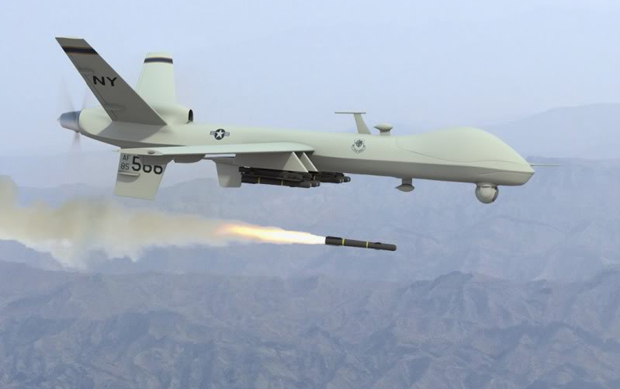 The method of his killing appears to be by a targeted drone strike on his hide out in Yemen. His killing has been condemned and it’s legality questioned by a good number of people including Republican Presidential candidate Ron Paul. On the surface I can see their concerns. Any reader of this site knows that I am on the whole with very few exceptions very much a civil libertarian and some will call me a hypocrite but I am okay with that. The fact is that I do not want our government to be engaged in activities that violate the constitutional rights of Americans anywhere in the world. Nor do I want to see Awlaki’s killing used as precedent in killing American citizens not engaged in acts of war against the United States. 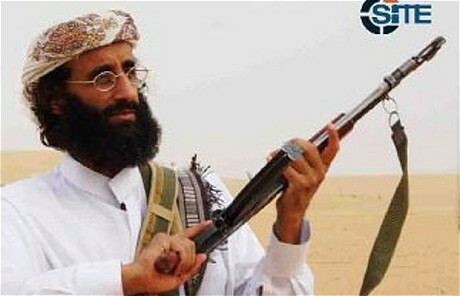 Critics have contended that Awlaki had not broken the law and that his killing in a country that we are not at war with made the act an illegal assassination under the 5th Amendment while ignoring his goal of mobilizing Muslims worldwide, but especially American Muslims to kill Americans at home and abroad. However even criminal courts in the United States recognize that a person that encourages murder can be charged as an accomplice or even co-conspirator as Awlaki was to the mass murderer of Fort Hood Major Nidal Hussein. Yes by law Awlaki was still an American citizen at the time of his death. Despite his many calls for the destruction of this country and the killing of its citizens he never went to an Embassy or Consulate to officially renounce his citizenship and thus was still a citizen. The fact that Awlaki was a leader and propagandist for Al Qaeda on the order of what Josef Goebbels was to the Nazis is lost in the debate. The uncomfortable truth is that an “American” citizen Awlaki had for all recognizable purposes renounced his citizenship, and under most historical and legal precedents in the United Statesand Europe Awlaki forfeited his rights as such. This country has revoked the citizenship of citizens for taking up arms against this country to include all officers who left the U.S. military and former government officials that took up prominent positions in the Confederate armed services and government. They lost their citizenship rights and all had to reaffirm their allegiance to the Union to receive pardons. Some did not and some such as the commandant of the Andersonville prisoner of war camp were executed for their crimes against other U.S. citizens. The fact that he hid among his family’s tribal homeland inYemenis also held out as a reason that Awliki’s killing was illegal. However Awlaki did not recognize the borders that some say should offer him protection and in my view it is unreasonable for theUnited Statesto be bound by conditions that our adversaries do not acknowledge. Yes this is an ugly conflict and it is far different than any war we have every faced. It will mean having to come to terms with methods and tactics that are effective in carrying the war to the enemy, even enemies that we have allowed to retain their citizenship even as they wage war against us. Critics that think this war will be won or lost on the battlefields of Iraqor Afghanistanand those who condemn the killing of Awalki and Khan misunderstand the shape of warfare in the 21st century. Awlaki and Khan understood what they were doing and were prepared to die to achieve their goals which they did. I suppose that we could have risked the lives of more American troops on the ground to track them down and attempt to capture or kill them deep inside hostile territory as we did with Bin Laden. However, such operations are so risky that they cannot be allowed to become commonplace. Likewise even as we step up the use of drones and special operations forces and scale back in the manpower intensive theaters of Iraq and Afghanistan we must embrace the role of the media propagandizing the truth. We must define the message and not allow future Awlaki’s and Khan’s to set the narrative of the war. We must use all available media and communications technology to our advantage and not surrender that realm of operations to whomever Al Qaeda appoints to replace Alwaki and Kahn in their propaganda minister role. “In seeking a solution, it is essential to realize that in modern warfare we are not up against just a few armed bands spread across a given territory, but rather against an armed clandestine organization whose essential role is to impose its will upon the population. Victory will be obtained only through the complete destruction of that organization. That complete destruction of such an organization begins with its leaders including its propagandists, even those that are American citizens. Some will disagree with me on this but this war has been going on over 10 years and will not end when we withdraw from Iraq and Afghanistan. 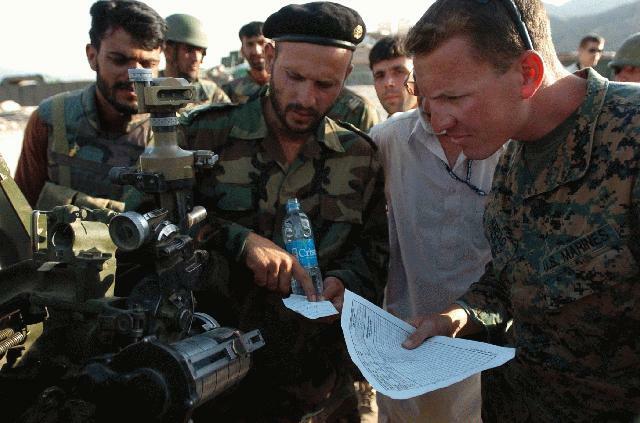 The killing of Osama Bin Laden and the intelligence garnered in the raid on his Pakistani compound was a watershed moment and has shifted momentum to the United States and its allies. Al Qaeda’s senior leaders are being killed in ever increasing numbers with substantially fewer civilian casualties. But we can lose it all if we fail recognize that the very nature of war has changed and that if we remain tied to law and policy written when the world in no way resembled what it is today. P.S. For those wondering what a Priest knows about this I hold a Masters degree in Military History and a graduate of the U.S. Marine Corps Command and Staff College. I have also studied revolutionary war and insurgency extensively since 2001. 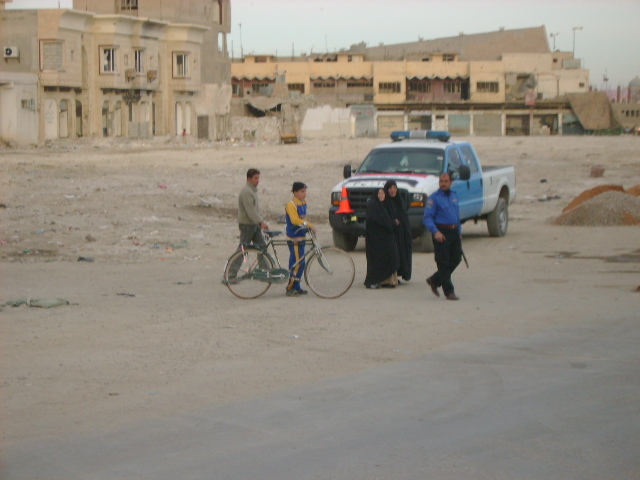 I served with our advisers to the Iraqi Army, Police and Border and Port of Entry Police in 2007-2008.